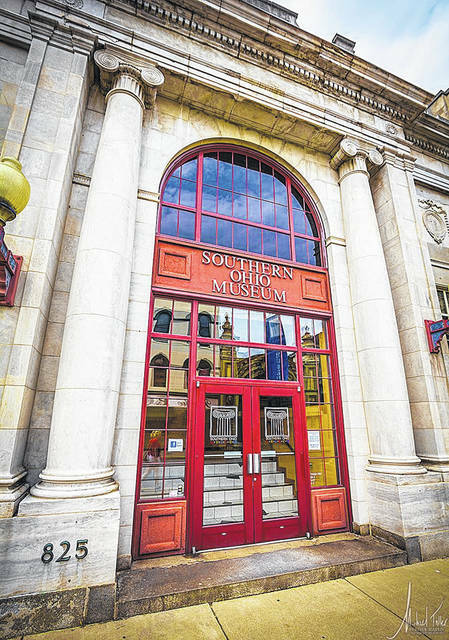 “The Cream of the Crop,” the biennial, juried exhibition for the Southern Ohio Museum, will open at 6 to 8 p.m. June 30. The exhibition runs through Aug. 15. The exhibition is held on even years, and is open to artists living within 85 miles of the museum and working in all media. “The Cream of the Crop” has been an important part of the community for 32 years, showcasing more than 100 works in a variety of media, techniques and styles that reflect the rich diversity, independence and sense of place of this unique region. The works are all original, handmade and for sale. Participating artists are delivering works June 15-16, and the juror will be making selections on June 18. This year’s exhibition Juror is Carrie Longley, assistant professor in fine arts and chair of the Department of Fine and Performing Arts at Indiana University East. Her science-based ceramic and multi-media work was featured in “Beyond the Cabinets of Curiosity” exhibition in 2017. The awards will be announced during the exhibition opening. The exhibition opening is free, and will feature Andy Russell on guitar, hors d’oeuvres and art for sale. In the previous “Cream of the Crop” exhibition, more than $13,000 of art was purchased by art patrons. Patrons may come in prior to the opening reception and make selections. Call the museum at 740-354-5629 or email charlotte@somacc.com to see the work prior to the reception. Every purchase directly supports the creative endeavors of artists living in and around Portsmouth and the Southern Ohio Museum. Visit www.somacc.com, call the museum at 740-354-5629 or stop in at 825 Gallia Street, Portsmouth.